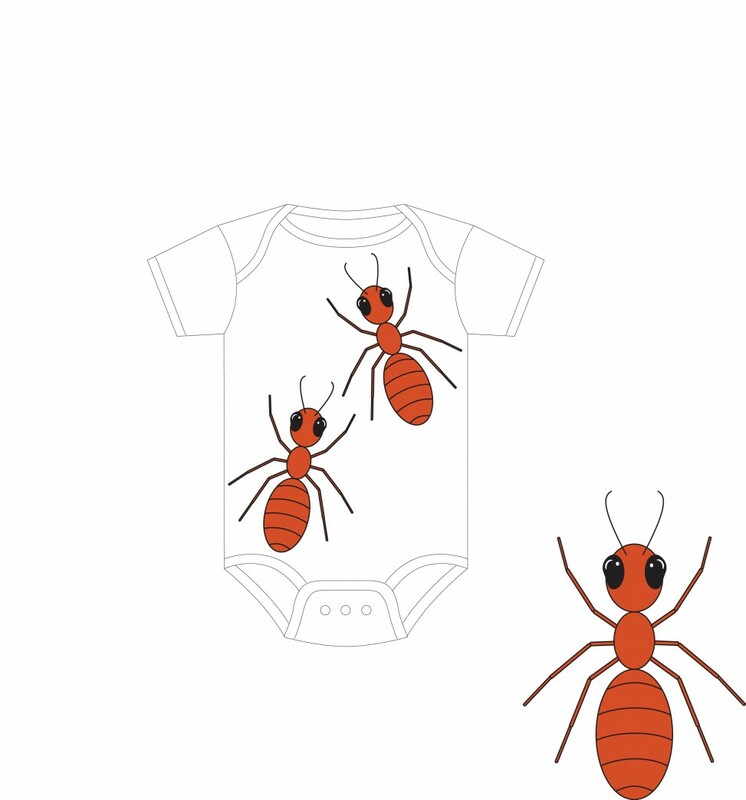 This is an example of a baby onesie concept. I like to create mock-ups to play with the placement for all of my screenprint designs. Up until about two years ago, I did all of my own screenprinting and block printing from home. Now, these mock-ups can be sent directly to my printer and the production time has been cut in half!